Only good things will come from this. We’ve always respected McLaren’s commitment to retaining its founder’s vision of dynamic purity. Bruce McLaren believed in rear-wheel-drive, mid-engine performance cars that pushed the limits in as many categories as possible. Today’s all-new 720S is no different, but Car and Driver chatted with McLaren CEO Mike Flewitt at Goodwood where he admitted that RWD has its limits looking forward. 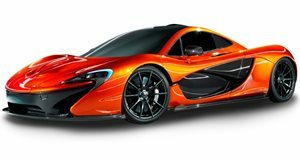 Does this mean all-wheel-drive McLarens? “We’re not there yet, but I’d say we’re getting close to the limit,” Flewitt said. “We’re not planning (AWD) right now, but we’re conscious it’s a direction that we may well want to go in.” This makes complete sense considering McLaren has been very open about its intentions to incorporate hybrid systems and, eventually, a pure EV supercar. Take the Rimac Concept One, for example. It’s all-electric and that torque must be distributed to all four wheels instead of just the rear. That’s just basic physics. 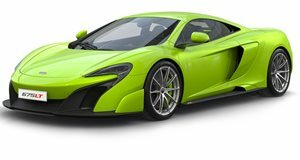 But because this is McLaren we’re talking about here, a conventional AWD system simply isn’t good enough. Flewitt confirmed a future system will feature an electronically powered front axle in conjunction with a conventional rear end. Cool. “Our hybrid architecture will be flexible,” Flewitt added. “And from an engineering point of view there’s no point bringing a shaft down the center of the car.” Bruce McLaren was also all about innovation and pushing the limits of what’s possible. His company couldn’t be in better hands.